New role: Chief diversity and inclusion officer at Partners HealthCare. In the newly created role, Monroe will be charged with developing and implementing an innovative diversity and inclusion strategy across the Boston-based system and its affiliates, building on similar work underway at Partners' institutions. Background: Monroe is the founder and former president of Center Focus International, a Brookline, Mass.-based firm that assists companies with issues of organizational change and diversity. She has worked with Partners' Diversity and Inclusion Council to develop the organization's vision and strategy on those initiatives. Previously, she was senior director of global diversity and inclusion at drugmaker Pfizer Corp.
Focus on diversity: In 2013, Monroe published Untapped Talent: Unleashing the Power of the Hidden Workforce, which looks at how companies succeed best by tapping into employees' diverse backgrounds and talents. 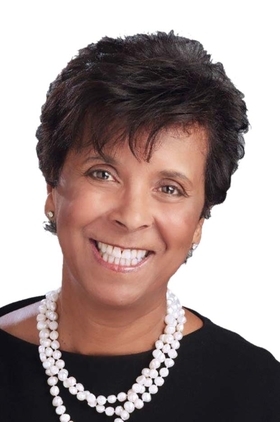 She was a recipient of the Boston Business Journal Lifetime Achievement Award in Diversity, and in 2012 was appointed to the Massachusetts Board of Higher Education and the Massachusetts Commission on the Status of Women by former Gov. Deval Patrick.